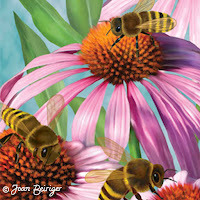 Joan Beiriger's Blog: Editorial: Should you OR can you upgrade to Photoshop & Illustrator CS6? Editorial: Should you OR can you upgrade to Photoshop & Illustrator CS6? If you are using Photoshop or/and Illustrator to manipulate, enhance, or create your art for licensing, it will soon be imperative to upgrade to the latest version of Adobe CS6 or be left behind. But unfortunately, for some artists upgrading to CS6 will not be a simple or inexpensive process because it also means that they may have to upgrade the operating system (OS) of their computer and possibly purchase a new computer. For the Macintosh computer, the reason is because Adobe made a huge change in the coding for CS6 and CS6 applications will not operate if the Mac OS is below version 10.6.7 (snow leopard). Adobe decided to take advantage of the changes that Apple made in snow leopard to speed up the performance of applications by using multi-core processing and high amounts of RAM*. Read "Difference between Leopard and Snow Leopard." And continue reading to find out why you should upgrade sooner than later and why upgrading to CS6 could become very expensive. * RAM is Random Access Memory on the computer that provides space to read and write data by the CPU (central processing unit). If there is not enough RAM on the computer to run all the applications that are open at the same time (including email and internet browser) the computer can bog-down or even hang-up. Note: There are also other kinds of memory on the computer. Cash memory helps speed RAM memory when processing data and virtual memory on the hard drive is used for storing data. For more information on memory, read "How Computer Memory Works." • Future cost of CS6 applications will be full price instead of the upgrade price unless you upgrade. CS3 or CS4 can only be upgraded to CS6 at the upgrade price until 12/31/12. • if your computer is old. A Macintosh needs a multicore intel processor with 64-bit support to operate Adobe CS6 software. A PC needs an Intel Pentium 4 or AMD Athlon 64 processor. • if you are using an old operating system. 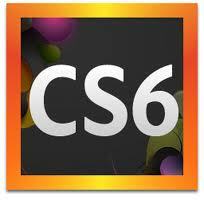 If you are using an old operating system, you may not be able to open CS6 applications. A Mac needs OS X v10.6.8 (snow leopard) or greater. A PC needs Microsoft Windows XP with Service Pack 3 or Windows 7 with Service Pack 1. • if you have insufficient RAM on your computer. Photoshop CS6 only needs 1GB of RAM to operate but Adobe recommends 6GB for optimal operating speed if several CS6 applications are opened at the same time. • if you are using software that is not compatible with newer operating systems. Or you do not want to spend the money to update software that is not compatible with a newer operating system. So there are reasons not to upgrade to CS6 especially if you cannot afford to. But eventually you will have to upgrade to the latest version because either Photoshop or/and Illustrator is needed in licensing art. Make sure that you read the comments! Artist Phyllis Dobbs has shared some important Photoshop information. It feels like I just got photoshop 5. It does sound like 6 has some really nice features. I do have snow leopard, but now my scanner on the hp all in one won't work. There's always something. Ha! Patti, the reason your scanner won't work is because the Mac version of Photoshop starting with CS4 no longer has twain in it. It was really frustrating when I upgraded and it took numerous calls to customer support to finally find someone who knew this. I had to install it myself. You can download it from the internet. I just installed 5.5 yesterday and see that my scanner isn't showing. I'm going to download 6 today and then will take the steps to manually install the twain. I hope they didn't change it so that twain won't work. You are definitely right, its always something! Joan, thanks for the article. I was talking with a techie in the Apple store who uses Photoshop and asked him the difference with working with the new version of CS. He said that the 64 bit meant a huge difference in PS speed. My PS crashes pretty frequently when working with really large files. He said that the 64 bit should prevent that because it could handle large files better and faster. I'm hoping that the new feature of saving in the background prevents lost data if it does crash. I'm no genius, but from checking w/ techies at Epson and Adobe a few months back - if you manually add the TWAIN plug-in, you have to use Photoshop in 32-bit. Kind of defeats the purpose of upgrading PS. You can change PS from 64- to 32-bit by going to "Get Info" after highlighting the PS application (command/I) and then there is a place to check "work in 32-bit". No reason to use TWAIN really - you can have your scanner put the scans on the desktop and then just open them in PS.